French Ligue 1 side AS Monaco confirms the signing of Montenegrin international striker Stevan Jovetic on a four-year deal from Italy's Inter Milan. 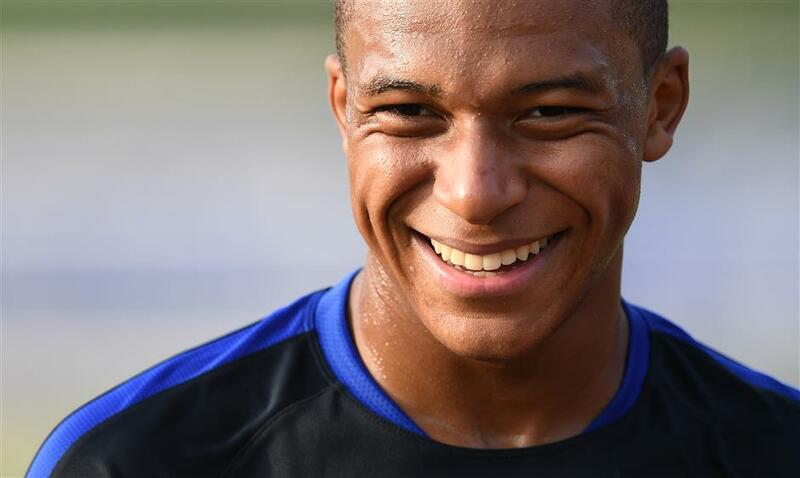 France forward Kylian Mbappe smiles at the end of a training session in Clairefontaine en Yvelines on August 28, 2017, as part of the team's preparation for the 2018 World Cup qualifiers against the Netherlands and Luxembourg. AS Monaco has signed Stevan Jovetic from Inter MIlan as a likely replacement for Mbappe who is set to move to Paris Saint-Germain. French champion AS Monaco has signed striker Stevan Jovetic from Italy's Inter Milan on a four-year contract for an undisclosed fee, the Ligue 1 and Serie A clubs said on Tuesday. Montenegro international Jovetic joined Inter from Manchester City on a permanent basis in January after an 18-month loan spell at the Italian club. The 27-year-old spent the latter half of last season on loan at La Liga side Sevilla, where he scored seven goals and provided five assists in 24 appearances for the Spanish club. "I'm very happy to be here. AS Monaco is a big club that played in the semifinals of the Champions League and won the French title last season. There are some great players on this team," Jovetic told Monaco's website (www.asmonaco.com). French media reports say that Jovetic could replace Monaco's young striker Kylian Mbappe, who is close to joining French league rival Paris Saint-Germain. Jovetic becomes Monaco's ninth signing of the summer after the arrival of midfielders Youri Tielemans and Soualiho Meite and defender Terence Kongolo. Jovetic started out with Partizan Belgrade before joining Serie A side Fiorentina. "He has developed in the big leagues and has experience at the highest level," said Monaco vice president Vadim Vasilyev. "We're convinced that he'll find here the conditions to fully express his ability." Earlier in the day, Liverpool confirmed it has agreed a club-record deal with German club RB Leipzig for the transfer of midfielder Naby Keita, who will move to Anfield at the start of next season. The 22-year-old Guinea international was identified as a priority signing by Liverpool manager Juergen Klopp, but Leipzig, which is in the UEFA Champions League this season, was unwilling to let him leave in the current transfer window. Keita has a 48-million pound (US$62.14 million) release clause in his Leipzig contract that comes into effect next season and the English Premier League side agreed to pay an undisclosed premium on that amount to secure his services in advance. "I am delighted that an agreement has been reached which will allow me to join Liverpool Football Club next summer, when I will become part of a project that excites me greatly," Keita told Liverpool's website (www.liverpoolfc.com). The Guinean, who scored eight goals in 31 Bundesliga appearances for Leipzig last season and helped guide it to a second-place finish, added that he would be committed to the German club until he officially joins Liverpool in July 2018. "Having my future resolved means I can now focus on helping RBL achieve great things this season. Until I join my new club, next summer, I will remain an interested supporter from a distance," he said. 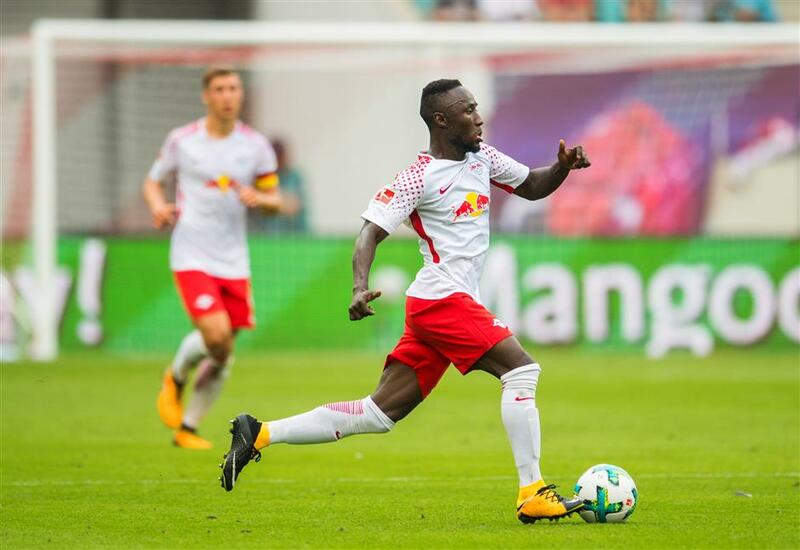 RB Leipzig midfielder Naby Deco Keita in action against SC Freiburg during their German Bundesliga match in Leipzig, eastern Germany, on August 27, 2017. English Premier League's Liverpool has agreed a club-record deal to sign the Guinea international for next season. In another significant EPL signing, Stoke City has signed defender Kevin Wimmer from Tottenham Hotspur for 18 million pounds on a five-year contract. The 24-year-old Austria international has not played for Spurs this season, though he made 31 appearances in all competitions for the club since joining from Cologne in 2015. Stoke announced the signing on its official Twitter feed on Tuesday and manager Mark Hughes said that he was satisfied with the club's efforts to strengthen the defense. "Kevin is an undoubted talent. He will significantly add to the quality of the group of players that I already have," Hughes tweeted. "We put a real emphasis on trying to enhance the defensive areas of the squad this summer. We feel that we have been able to do that." Wimmer is Stoke's fourth permanent signing of the current window, and follows center back Bruno Martins Indi, midfielder Darren Fletcher and Cameroon forward Eric Maxim Choupo-Moting to the club. Hughes has also brought in forward Jese Rodriguez on a season-long loan from Paris Saint-Germain and defender Kurt Zouma on a similar deal from Chelsea. "I like the way he approaches the game, his style of play suits the way I like to play too — he likes his defenders to be able to play out with the ball." 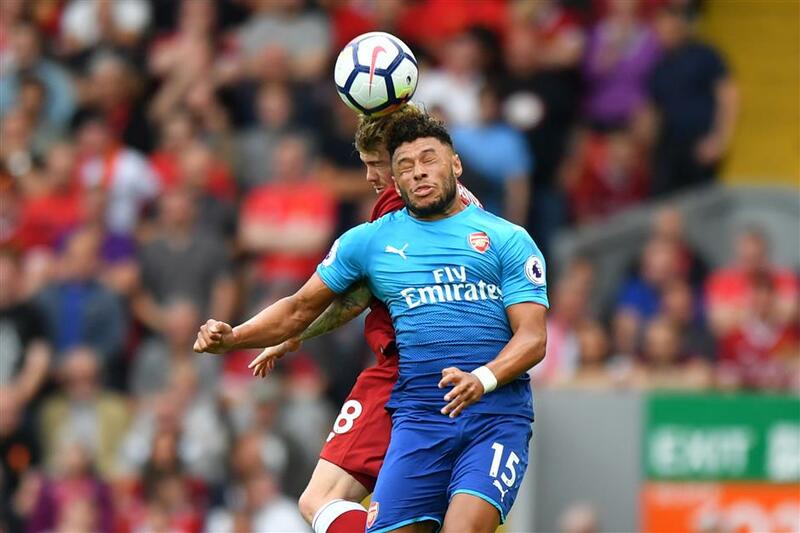 Arsenal's Alex Oxlade-Chamberlain vies with Liverpool defender Alberto Moreno during their English Premier League match at Anfield in Liverpool, northwest England, on August 27, 2017. The midfielder is on the verge of joining EPL rival Chelsea. Meanwhile, England midfielder Alex Oxlade-Chamberlain is set to join EPL champion Chelsea from Arsenal, according to British media reports on Monday. The two clubs have, according to The Guardian, The Independent and ESPN, agreed a fee for the 24-year-old, who was substituted during the limp 0-4 thrashing by Liverpool on Sunday, AFP reported. The Independent claims Chelsea will part with 35 million pounds and further strain the relationship between coach Arsene Wenger and the Arsenal supporters, who have seen little improvement from the team in the early part of the season from that of last term. Wenger had said earlier this month that he wanted Oxlade-Chamberlain — who is with the England squad preparing for the upcoming World Cup qualifiers and is due to discuss personal terms with Chelsea on Tuesday — to stay. "In the last year, he has made huge progress and personally I want him to stay here for a long time," said Wenger. "I'm convinced he will be the English player that everybody will look at in the next two years." Arsenal will at least get a fee for Oxlade-Chamberlain, which would not have been the case had he seen out the final year of his contract — the same situation the Gunners find themselves in with German World Cup-winner Mesut Ozil and Chilean star Alexis Sanchez. Wenger, though, has said in the past he is willing for them to see out their contracts and go for nothing. The Frenchman's acquisitions in the close season have done little to allay fans' skepticism over his signing of a new contract after Arsenal won the FA Cup. Only French striker Alexandre Lacazette, for a club-record 52 million pounds, and Bosnian international defender Sead Kolasinac, on a free transfer, have joined in the close season. Chelsea has added, among others, Spanish international striker Alvaro Morata and France midfielder Tiemoue Bakayoko, and have the likes of England midfielders Danny Drinkwater and Ross Barkley still in its sights before the transfer window closes on Thursday.